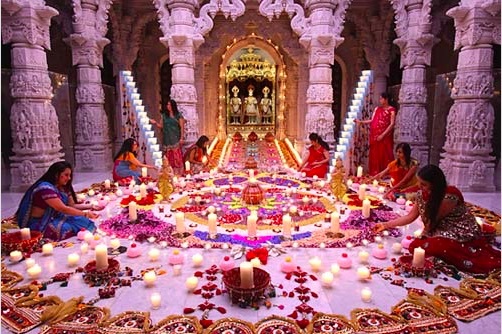 Diwali celebration in temples gives someone the feeling of utter delight and a state of happiness. 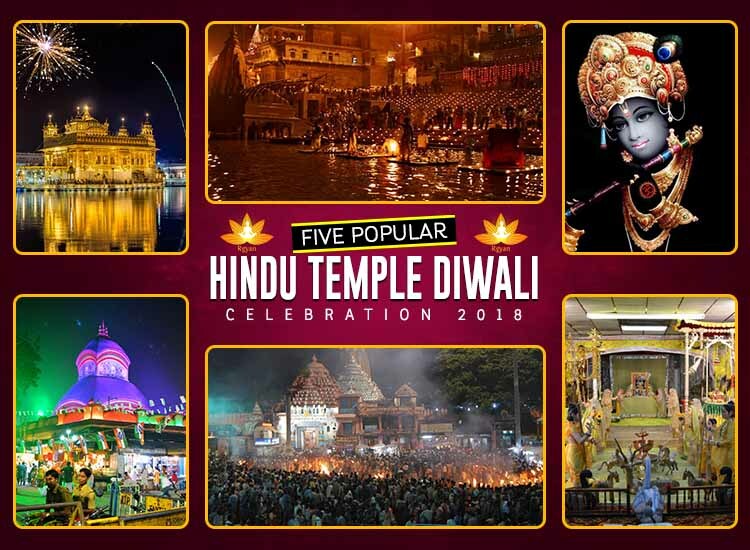 The temples light up with flared earthen oil lamps (diyas), illuminated coloured-gleams and fluorescent electric bulbs especially on the eve of Diwali. Hence, religious places that celebrate Diwali- the festival of lights come up with vivid themes at different temples and sacred vicinity. Witness these six divine places where Diwali is celebrated with magnificence and splendid grandeur for six days of the festivity. 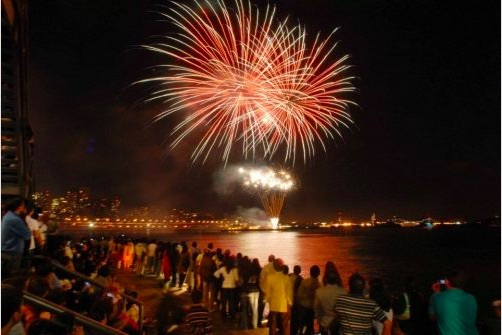 Parlin Temple Diwali celebrations fireworks are way famous in New Jersey. Parlin temple is intrinsically well-known with the name Dwarkadeesh Temple, dedicated to Lord Krishna. Parlin Temple Diwali celebrations 2017 was a big hit and residents of New Jersey is now looking forward to witness the same happening bash for 2018 Parlin temple diwali celebrations. 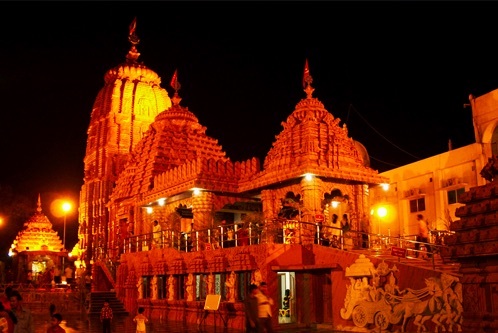 Dwarkadhish temple Parlin Diwali celebration showcases the real religious merrymaking with the pinch of traditional ceremonies, cultural programmes and amazing Diwali celebrations fireworks. Also read this : Hindu Festivals, Vrat Katha, Rituals and Mantras. Diwali vacations are coming and people are seeking places to visit Diwali celebration places to behold the allure of the Indian culture. Not only Hindu temples witness the beauty of the festival-Diwali, but the elegant Golden Temple in Amritsar is where you can anticipate for the glimpses of Diwali celebration. Mythology narrates- on the special occasion of Diwali, a Sikh festival- Bandi Chhor Divas is also solemnized to glorify the return of the Sixth Sikh Guru- Guru Hargobind Ji from Mughal imprisonment. 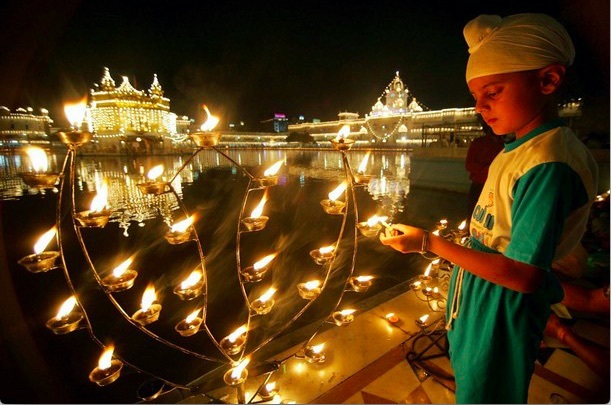 Golden Temple is illuminated with golden-silver lights with bright-colored lamps all around near the Sarovar Lake. Varanasi during Diwali is a must-see celebration; people across the world visit this holy place to take a glance of Varanasi deep Diwali. Varanasi in Diwali is also way famous for live vibrant fireworks and breathtaking firecrackers on the bank of the River Ganges. Majority of the people desire to watch these fireworks at organized displays in Varanasi Diwali 2018 as well, since fireworks during varanasi diwali 2017 attracted a large audience and devotees. Deep Diwali at Varanasi is a stunning religious event which is a crowd puller and becomes a knockout Diwali celebration for the admirers in the course of Diwali. The water of River Ganges shines with glittering sparks, showcasing a picturesque sight to viewers. Another vast celebration is noticed in the course of Diwali festivities at Kolkata city, West-Bengal. Beautiful religious places like- Kalighat, Belur Math and Dakshineswar Temples in Kolkata offer ceremonial worshipping to Goddess- Kali in the event of Diwali. 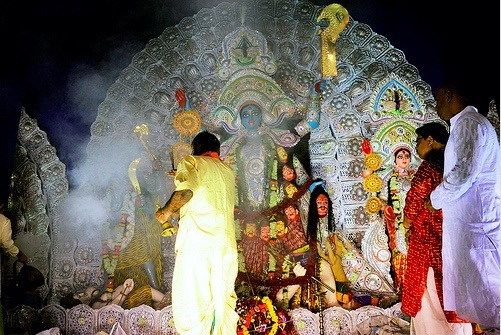 They also conduct a special Kali puja, Shakti (Laxmi) puja and proffer prayers to Goddess Saraswati and Lord Ganesha. 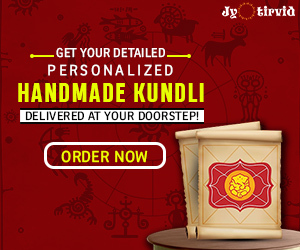 These noteworthy temples conduct Kali Puja along with other substantial programs (and activities) sidewise on a bigger level to reverence the Diwali eve. This significant merrymaking pulls a large number of pilgrims on all parts of the world, during the sacred six days. A special type of traditional puja is offered to Lord Krishna and other deities to extol the sacred days on Diwali festival at Shrinathji Temple in Udaipur city (Rajasthan). This religious temple is famous with Nathdwara –a not so big village which is about 50 minutes away from Udaipur North city. Devotees of Lord Krishna go to see this unique built temple for its 17th century Shrinathji (Krishna) idol, installed at the sanctum-sanctorum. The temple is carved with thrilling and exquisite pichwai drawings and ancient paintings, spotlighting glances from Lord Krishna’s life activities of bygone times. At the time of Diwali, a white wash is done along with bright lamps and blazing diyas. Krishna deity is adorned with new designer clothes that drags thousands of tourists across the world. Goverdhan Puja and Annakuta festival is also venerated day after Diwali. If you also know, any of the notable celebration in the time of Diwali festival, Feel free to share your past experiences and the unforgettable memories with us, you have had during Diwali. Wishing you all a Safe and happening Diwali with lots of fun and excitement! 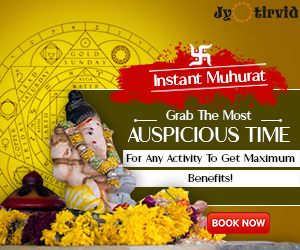 Next article4 Superstitious Practices in India – Are these Mythological Beliefs fortunate?